Do you want a little more colour in your life? 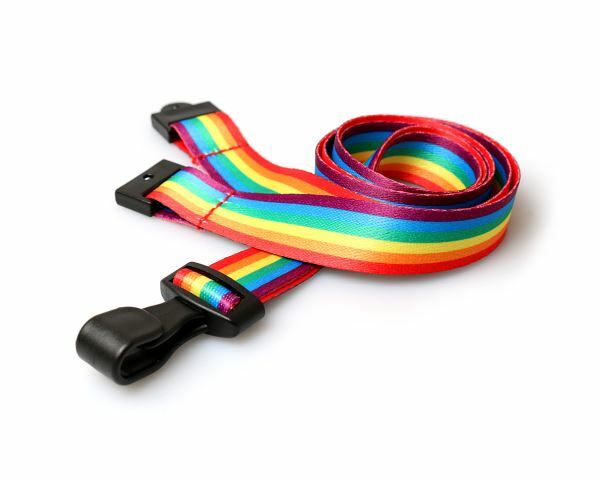 We’re expanding our range to include these bold, bright and beautiful rainbow lanyards. If you want to celebrate pride or just love a blend of bright colours, these lanyards are the perfect accessory for you.Included is a safety breakaway and a tough metal clip, this lanyard is sure to make you stand out from the crowd. Manufactured to an extremely high standard to ensure bright, bold colours, this multicoloured lanyard will be sure to grab attention.